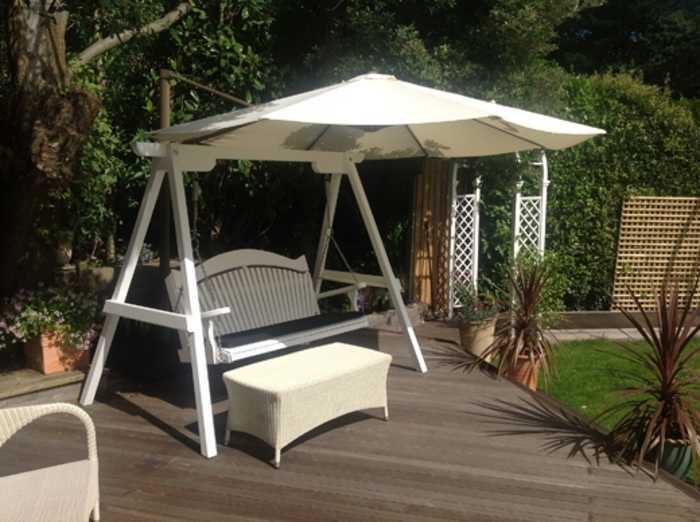 Do you have any shade solutions for your swing seats? The answer is now Yes! It took us such a long time to find a solution because we know our swing seats are special, so we knew it would take a special type of shade solution. We couldn't just settle for any old parasol now could we? So our good friends at Bridgman have entered into an arrangement with us and we can supply them direct to you. Just choose the one that's best for you let us know and we can arrange for it to be delivered and charged with your seat. 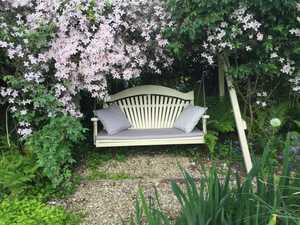 This is the first seat we ever made in 2004 and is still going strong in the Sitting Spritually garden in Lyme Regis. 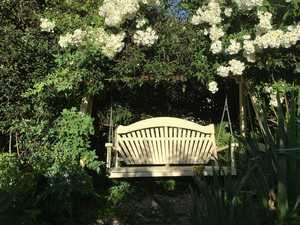 We planted a fast growing eucalyptus tree and the clematis montana scrambles up the tree and over the seat . The first seat we ever made in 2004 and still going strong. As the Clematis fades the Rosa Philadelphus takes over.